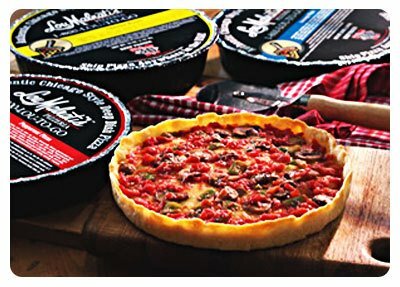 Yes, I have to admit……I’m guilty of not just calling the local Dominos to deliver a pizza, but actually shipping my pizza in from Chicago. The pizza from Lou Malantis is worth it. Lou's is the home of the BEST Chicago-style deep dish pizza in the world! If you love a buttery, flakey crust, sweet and tangy tomatoes, gooey mozzarella cheese, perfectly seasoned sausage, and other fresh ingredients- you’ve come to the right place. We pride ourselves on making each handmade pizza just the way you like it. Head to the website here and you too can have one shipped to you!